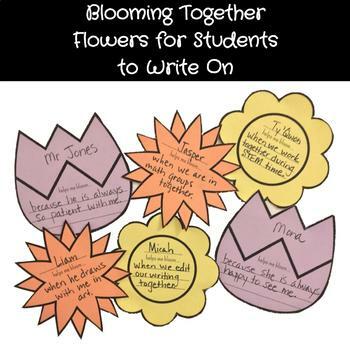 Flowers for students to write on. 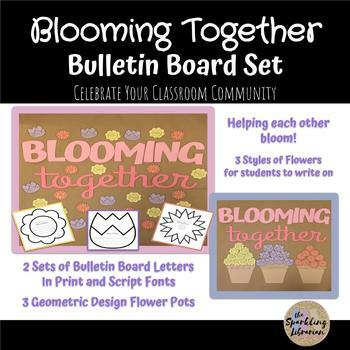 Students pick a classmate or adult at school and write about how that person helps them “bloom”! • Don't have bulletin board space? This set also works as door or window decor! 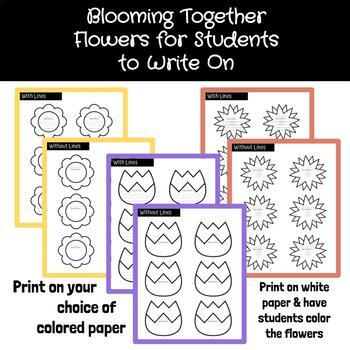 • The flowers can be printed on colored paper, or on white paper for students to color with crayons/markers/colored pencils. 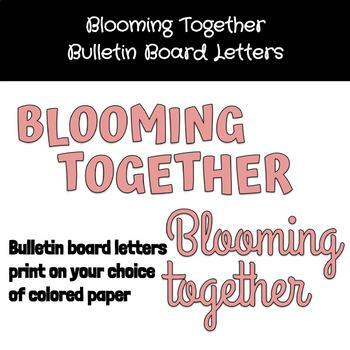 • Keep the celebration going - keep blank flowers near your bulletin board for students to write on anytime someone helps them bloom! !